If a picture is worth a thousand words, how much is a smile worth? A healthy, attractive smile may well be invaluable. That’s why our dentist in Torrance CA takes your smile and your dental health seriously. We want you to enjoy a lifetime of good dental health and a smile you can be confident about sharing. Our dental office features full-service dental care for your whole family, including pediatric dentistry, endodontics, periodontics, dental surgery, laser procedures, orthodontics, prosthodontics and cosmetic dentistry. When you visit our dentist in Torrance CA, you will discover that your smile is our priority, and we are dedicated to providing you with the compassionate, comfortable care you expect. Our dentists work together to create a treatment plan carefully tailored to your unique needs so that you can preserve, improve and enhance your smile. 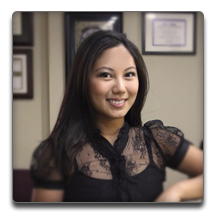 As your dentist in Torrance CA, we understand that you have responsibilities and obligations, and we want to help you get the care you need more easily without impinging on your busy life. We have early morning and late evening hours throughout the week as well as Saturday hours. Because we are a full-service dental office, we can easily manage your entire family’s dental health needs under one convenient roof. Whether you need professional cleanings, dental fillings, Invisalign or cosmetic procedures, we can help. Finding a reliable dentist you trust and with whom you feel comfortable can be difficult. Sometimes people end up with a dentist out of convenience, which may result in reduced options. Our dentist in Torrance CA has the experience, skills and knowledge that can make the difference between adequate dental care and excellence. Quality, personalized and convenient dental care are the hallmarks of our dental office, and we welcome you as a valued part of our dental family. We won’t rush you but will instead take whatever time is needed to provide you with all the information you need to feel confident about your dental health choices. Contact us today to schedule an appointment with our dentist in Torrance CA or to learn more about our services.